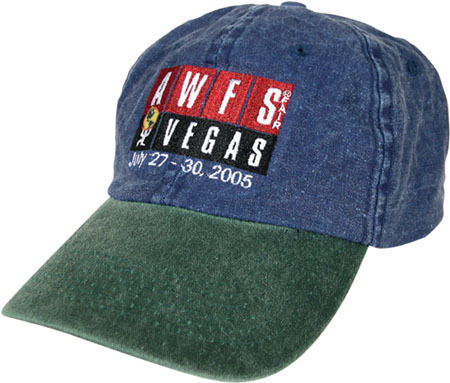 This fabric makes the hat look like a familiar old pair of jeans. 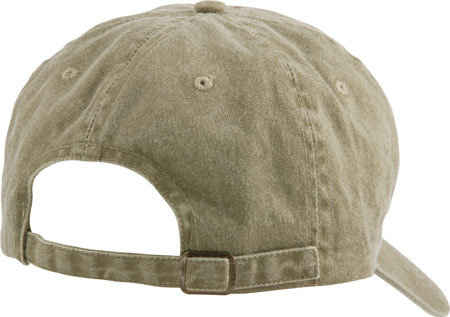 The seam stitches show through due to the cap being washed after it is made. This fabric also receives embroidery great. 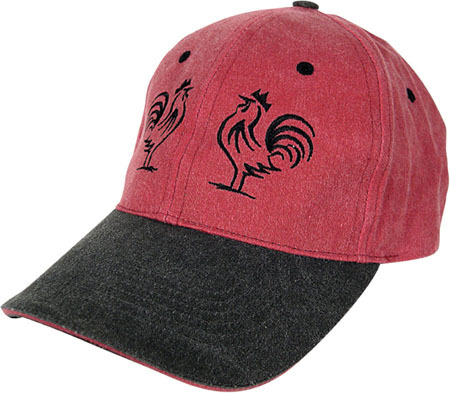 As with all our fabrics, a pigment dyed twill cap can be custom made for your order in any of the 8 different profiles available, which are illustrated on Custom Profile Style page. 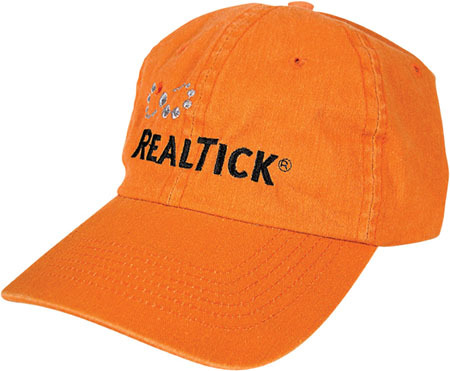 However, with the look of the fabric being so relaxed, and the hat being washed after it is made, most orders using this fabric call for an un-constructed hat. The back closure that is photographed in the inset photo is how the cap is priced on the price sheet. However, you can custom choose any back closure you like from Custom Closure Ideas . There are 5 different colors to choose from as well. 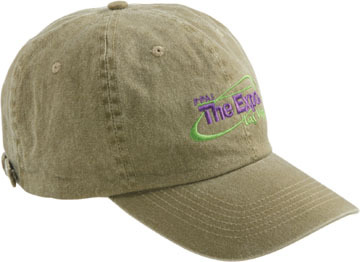 So be creative and take a look at some of the ideas at the bottom of this page on different ways to design a great hat out of Pigment Dyed Twill fabric.